How much is Dejan Zlaticanin Worth? Dejan Zlaticanin net worth: Dejan Zlaticanin is a Montenegrin professional boxer who has a net worth of $400 thousand. Dejan Zlaticanin was born in Podgorica, Montenegro in April 1984. He is a lightweight who made his professional boxing debut in May 2008 when he defeated Wladmir Borov in Montenegro. Dejan Zlaticanin continued fighting in Montenegro, Serbia, and Bosnia and Herzegovina. In February 2011 he defeated Felix Lora to win the vacant WBC Mediterranean lightweight title. Dejan Zlaticanin won the vacant WBC International lightweight title by defeating Godfrey Nzimande in November 2011. In June 2014 he beat Ricky Burns to win the vacant WBC International lightweight title. Dejan Zlaticanin won the vacant WBC lightweight title by defeating Franklin Mamani in June 2016. 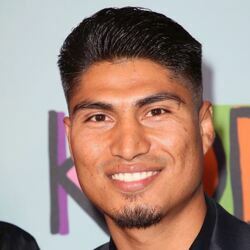 He lost his first fight in January 2017 to Mikey Garcia when he lost the title. His second loss came to Roberto Ramirez in June 2018 to bring his record to 23 and 2 with 16 knockouts.